The Wine Origins Alliance announced March 17th that the Missouri Wine & Grape Board (United States) and Yamanashi Wineries Association (Japan) joined their global efforts to protect wine place names. The Alliance now includes 25 members representing wine regions in 10 countries spanning North America, Europe, Australia, and Asia. 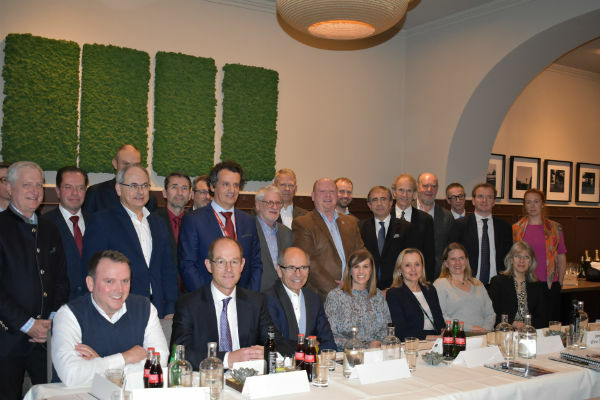 It welcomed its newest members at a meeting during the ProWein trade fair, where members discussed ways to continue to push governments to recognize the distinctiveness and value of wine regions to the global economy and the need to legally protect the names of these regions. In early 2018, the Wine Origins Alliance released a consumer survey that found that 94 percent of American wine drinkers support laws that would protect consumers from misleading wine labels. The survey, conducted by GBA Strategies from February 6-13, 2018, interviewed 800 American wine drinkers. The group also released a short film featuring winemakers explaining how the complete environment of a wine region’s location makes their wines unique. Since 2005, the Wine Origins Alliance efforts have led to increased attention around the protection of wine place names. Last year, the U.S. Senate unanimously passed a resolution, S. Res. 649, acknowledging the distinctiveness of American wine regions and AVA’s and the contributions they provide to the U.S. and global economy. In 2019, the Alliance will work to get a similar resolution passed in the U.S. House of Representatives. The Wine Origins Alliance, previously known as the Joint Declaration to Protect Wine Place & Origin, works to ensure wine region names are protected and not abused or miscommunicated to consumers worldwide. Members represent regions in Barossa, Bordeaux, Bourgogne/Chablis, British Columbia, Champagne, Chianti Classico, Jerez-Xérès-Sherry, Long Island, McLaren Vale, Missouri, Napa Valley, Oregon, Paso Robles, Porto, Rioja, Santa Barbara County, Sonoma County, Texas, Tokaj, Victoria, Walla Walla Valley, Washington state, Willamette Valley, Western Australia and Yamanashi. For more information, visit origins.wine or follow the Alliance on Twitter and Facebook.